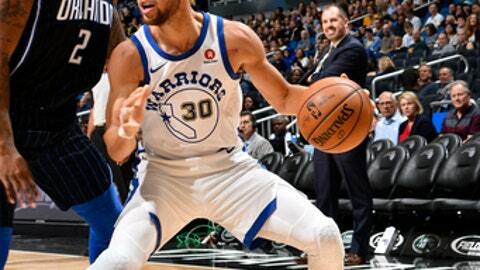 ORLANDO, Fla. (AP) The Golden State Warriors are first in the NBA in so many offensive categories you would think adding another one wouldn’t mean much. This one did. ”Forty-six assists is insane,” coach Steve Kerr said. The Warriors shot 62.5 percent from the field and had so many open looks they didn’t need to be selective about where the shots came from. Golden State hit 12 of 24 from behind the 3-point line and 11 of the 13 players had at least one assist. Magic coach Frank Vogel said he didn’t want to comment on his team’s inability to sustain effort from game to game, but he was willing to talk about the team’s defense, or lack thereof. Warriors: Golden State had a season-high 41 points in the first quarter. … The Warriors have seven straight games with 10 or more 3-pointers. … Andre Iguodala sat out with a sore knee. … Curry passed Jason Kidd for eighth place on the career 3-pointers made list. … Thompson has a 3-pointer in 77 straight games, the longest current mark in the NBA. Magic: Orlando has lost 10 straight to the Warriors. … The Magic have averaged 112.2 points in their last five games. … PF Aaron Gordon is 17 of 34 (50 percent) on 3-pointers in his last four game. … SF Terrence Ross is out indefinitely with a sprained MCL.